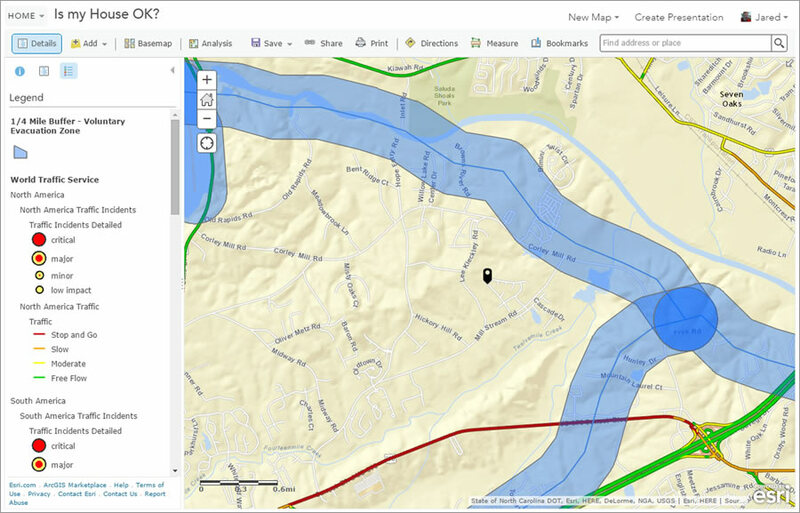 From my home office in Lexington, I used ArcGIS Online, part of Esri's cloud-based mapping platform, to answer my wife's questions. All had a geographic component. By understanding the where—where the impacted areas were located in relation to the hospital and where my wife needed to go—I helped her avoid major road closures and flooded streets and got her home safely as soon as the state of South Carolina lifted the curfew on October 5. Hospital staff trying to navigate home during or after an emergency need to have sound situational awareness. Whether they are traveling by car, bus, bicycle, or walking, using a standard GPS device that shows traffic conditions isn't going to cut it. 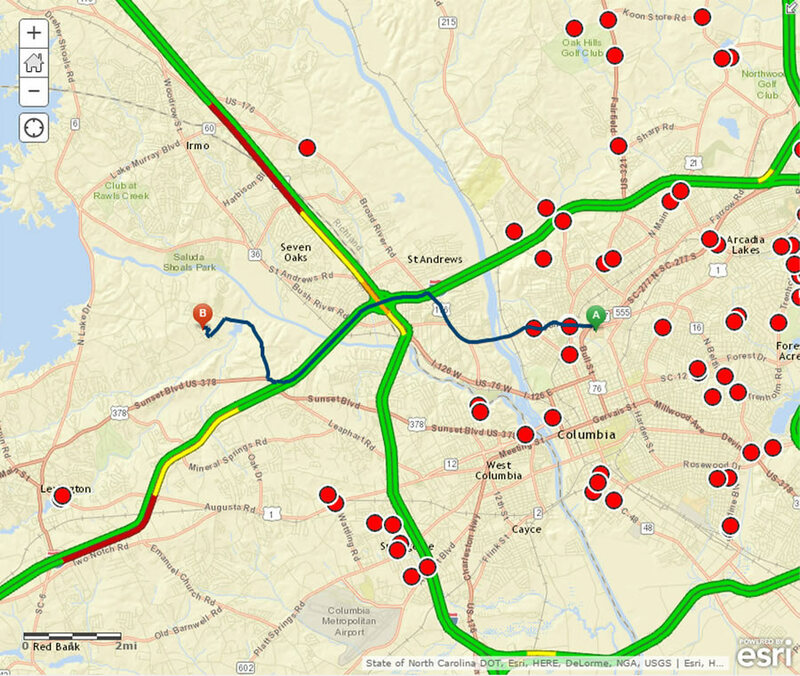 Before planning my wife's route home, she needed data from credible sources that would tell her where evacuations, flooding, road closures, and other events were occurring. Esri's ArcGIS platform offers these capabilities. 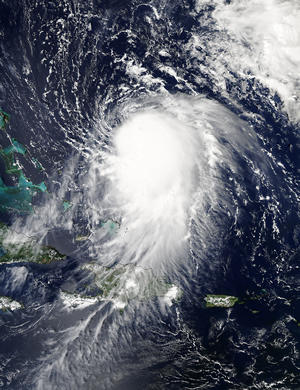 By simply overlaying their home addresses with real-time emergency data that is available with ArcGIS, staff at a hospital can easily determine whether their families, homes, and routes are impacted. Much of the content needed to do this is readily available through the Living Atlas of the World or publicly available datasets. This story serves as just one example of how hospitals can use the ArcGIS platform in emergency situations. With a lineup of ready-to-use solution templates, hospitals can also use GIS to prepare for emergencies. Operationalizing these capabilities for routine workflows throughout the hospital would have many other added benefits. Place matters for hospitals, their staff, and their communities.